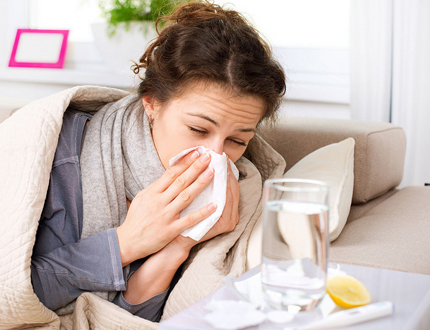 Despite being one of the top three reasons why people miss work, allergies are usually overlooked by business owners. Allergies are also not commonly associated with issues of health and safety at work. But, since they can significantly affect productivity, it’s crucial for business owners to recognize simple steps in reducing exposure to allergens. From a runny or blocked nose and watering eyes to severe reactions to foods or products, allergies are becoming increasingly common. Limiting exposure to allergens can improve working conditions, which in turn can result in increased productivity and employee satisfaction. The immune system is responsible for defending the body against bacteria and viruses, but in some cases, it may defend against usually harmless substances. These substances are knowns as allergens, and when the body reacts to them, it causes an allergic reaction. The most common triggers of allergic reactions are dust mites, pollen, moulds, certain foods, chemicals, animal skin and hair, and even animal urine and feces. Here’s what you can do to limit allergic reactions at three most common workplaces. Allergens associated with offices are usually air-borne. Piles of paper contribute to high levels of dust, dust mites and spores, while dirty air conditioners and ventilation systems might also be the cause. Also, chemicals used to clean toilets, hand sanitisers, or even paper towel dispenser might be sources of skin irritation. Have the ventilation system cleaned, or replaced if needed. Don’t leave papers stacked up on desks. (such as a closed roller cloth towel dispenser), pH neutral hand soaps and sanitisers, and non-toxic cleaning products. Most warehouses tend to be neglected when it comes to cleaning. Since this area is used for stocking boxes, crates, and pallets of different sizes, the amount of dust or dirt might not be immediately visible. Hidden areas behind shelves are rarely cleaned, and they can be a haven for all kinds of pests. Poor ventilation can only add to the overall problem of exposure to allergens. Declutter and dispose of unused boxes or other products. Make sure your warehouse gets a regular and more importantly thorough cleanup. Ensure proper ventilation of the area keeping skylights, windows and doors open as often as possible. Ask your co-workers or staff to smoke in designated areas only. Garages are probably the most difficult places to keep clean as the staff constantly deals with dirt and grease because of the parts and engine cleaning that is done. But if cleaned regularly and thoroughly, garages can also achieve acceptable levels of cleanliness. Chemicals, oils and other products used in garages can cause skin irritations while clutter and dirty corners are perfect for rodents. Exposure to a mixture of odours and vapours can irritate eyes, skin and the lungs. Ventilation is crucial so make sure it is adequate. Keep lids on cleaning products, oil drums etc and store them away from the working area. Consider getting a chemical-free parts washer, like the EcoSafe Washer from Alsco. Alkaline water-based cleaning substances are proven to be safer for employees as well as the environment. Make sure personal protection items, such as face masks, are worn when required. Set up a strict and environmentally friendly clean-up procedure to deal with spillage and waste. A clean, properly maintained and allergen-free workplace is an attainable ideal that both business owners and employees should strive for. Start with simple yet efficient steps of creating a safe workplace by installing our Work & Dust Control Mats, Anti-Fatigue & Wet Area Mats, Message & Safety Mats, Welcome Mats, Corporate & Logo Mats, or Entrance Mats, to help reduce dust levels. They are all made from recycled and eco-friendly materials. Call Alsco now and we will be more than happy to help you achieve your goals.